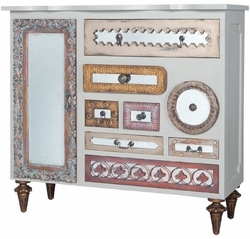 MIRROR MOSAIC SIDE CHEST - Manor Griege finish on side chest. 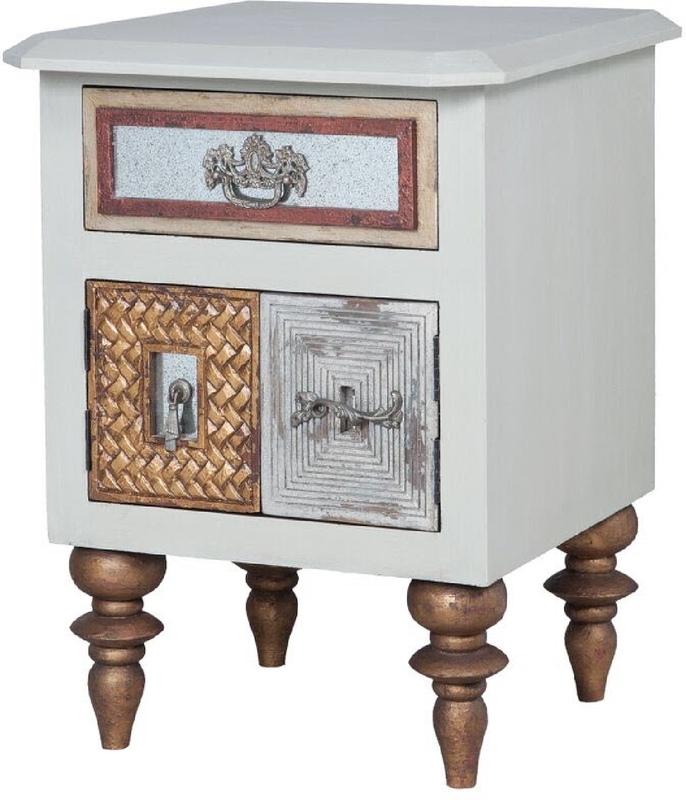 Antiqued silvers, reds, and golds finished on door/drawer fronts. 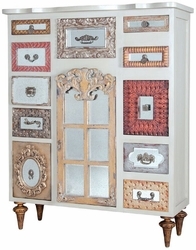 Antiqued mirror insets. H 30" x W 22" x Depth 22"